When it comes to staying healthy, diet and exercise are only a portion of the solution. Another major component is keeping your body’s first line of defense against invasion in top running condition. 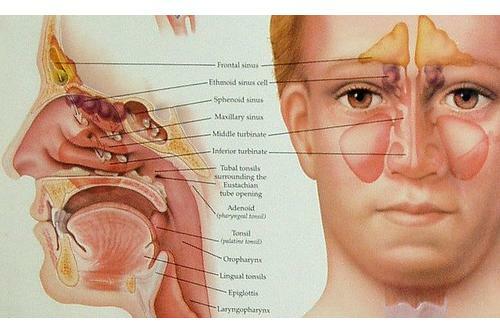 In other words, keeping your skin and the mucus membranes of your eyes and sinus cavity moist and clean is one of the top ways to ward off illness. The best way to do this is to ensure that the air in your home or office is properly purified and conditioned. 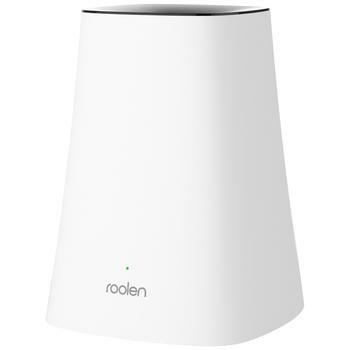 How Smart is Roolen Ultrasonic Humidifier? 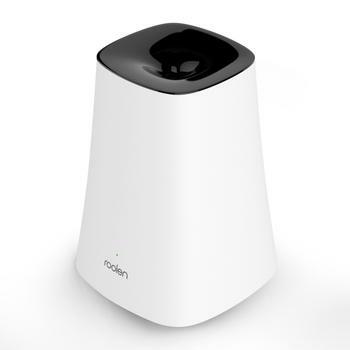 As you do your air purifier review, you’d learn that modern air conditioning robs the air of moisture. And in many cases, this can be the biggest culprit when it comes to feeling under the weather. A perfect way to combat this is to employ a humidifier that delivers pure, clean moisture to the air you breath. In the case of the best air humidifier, you’ll want to look for features such as a large capacity holding tank, a durable fan to deliver the moisture to the air, and a heavy-duty filter to ensure that the water is the cleanest it can possibly be. Before buying any specific product, you can compare these features on a number of products by perusing the best humidifier reviews, arming yourself with information about consumer experience and mechanical performance. 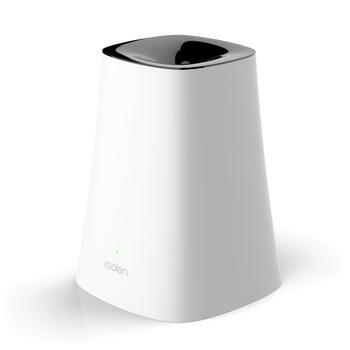 The Roolen Breath Smart Ultrasonic Humidifier is equipped with a number of features designed specifically to ensure a perfectly balanced environment. 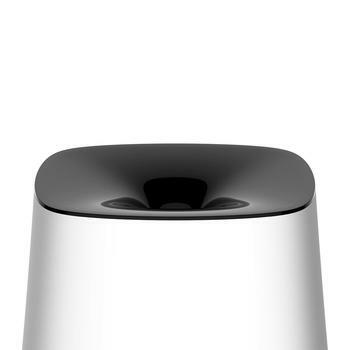 In addition to a large fan for ultimate humidifying power and a three liter holding tank that precludes frequent refilling, the Breath comes with a host of unique features that put it in the running for the best air humidifier. The first and most important consideration beyond this is how easily you can regulate the ways in which each model delivers moisture. Easy to operate, you can adjust the amount of moisture it delivers manually or place it on its auto setting. This delivers moisture based on sensor readings to regulate the humidity in your environment based on optimum conditions for healthy living. If you live in an arid environment, the high setting will feel like a lifesaver, providing precious moisture to your parched surroundings and moistening painfully dry skin, sinuses, and eyes. The low setting allows for continuous humidifying for up to 24 hours. Once the ideal humidity has been achieved in the auto mode, the Breath puts itself into a sleep cycle. This saves energy and also save you from refilling the tank frequently. It will also prevent excessive wear to the mechanical aspects of this model, prolonging the life of your investment. The Breath is easy to operate, with an intuitive, one-touch design. The guys at Roolen feels that you shouldn’t need to memorize complex operating instructions in order to enjoy optimum, clean and moist air. This is why you can simply touch a button and be done. When choosing the best humidifier, be sure that the design is suitable to your needs. Examining all the technical aspects and statistics can be helpful in making your choice. 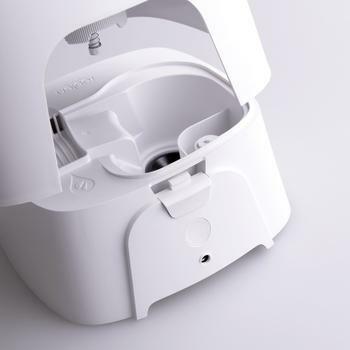 The best air humidifier reviews will offer you information on the ease of use, how simple or complex refilling of the reservoir is, and the overall performance and lifespan of each of the elements. At times, which model will suit you best comes down to aesthetic considerations rather than technical specifications. At other times, the best is defined by your budget and if this is the case, you may want to check out Honeywell Quietcare HCM-6009. So, be certain that the machine you select will align with your needs on every level. Should You Let Venta LW45 Washes Clean Your Air? Honeywell QuietCare HCM-6009: A Superbly Quiet Humidifier Can Rocky Mountain Air RMA3500-CHO Give You Fresh Clean Air?